Dr. Muth is a lifelong Louisvillian who has been proud to be able to work and live in her favorite town in world. Dr. Muth studied Chemistry at Bellarmine University from 1986-1990. When she decided to pursue a career in dentistry, she chose to study at her hometown school and received her DMD from the U of L School of Dentistry in 1994. Dr. Muth has been collaborating with Dr. Schulte since 1996 and has enjoyed working in our wonderful neighborhood. 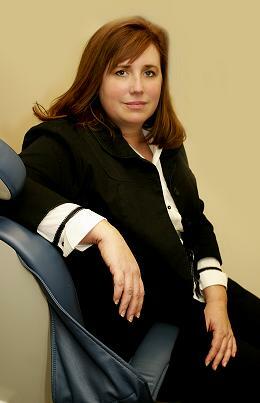 Dr. Muth's patients appreciate her laid back attitude coupled with her attention to detail that provides for a relaxed and reliable dental experience.